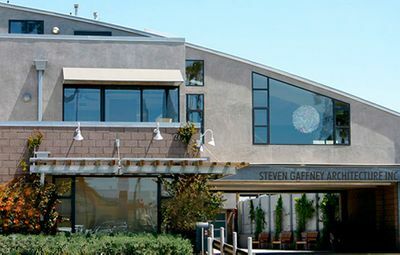 Steven Gaffney Architecture, Inc. (SGA) is an award winning architectural firm specializing in civic, cultural, commercial, retail/mixed-use and high-density residential projects throughout California and the West. Based in Orange County, California, the firm continues to advance a determined "hands-on" approach for over a decade, incorporating extensive team participation experiences, to establish design direction and implementation in a logical and timely fashion. SGA’s commitment to sustainability via energy efficient building systems, preserving appropriate selection of materials and form to maximize environmental conditions and long term performance has continued to diversify and expand the firms' services and project portfolio. To further demonstrate our commitment, all of the firm’s personnel are LEED™ Accredited Professionals. 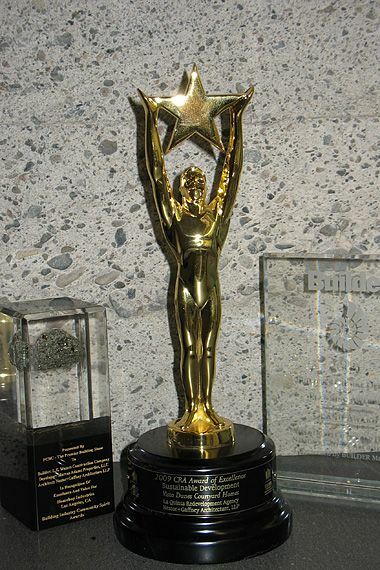 SGA's work is widely known and recognized in the construction industry as exemplary. A key departure point for SGA is our philosophy which is based on SERVICE. We believe in strong Principal commitment to each project and the number of projects that the firm will undertake will be limited to that which can be realistically serviced. Architecture and construction is more than meetings and numbers - it is the sum of the aspirations of numerous participants of a wide variety of backgrounds and experiences which, together, can create winning compositions for both the balance sheet and the design awards. Further, we take the responsibility seriously that people build their lives in the environments which we create. The Team is the essential building block of the project. Cooperation, coordination, and mutual respect and trust are the key components for success of the team. We believe that "pride of ownership" is important for everyone involved in the team. Attention to detail and the interactive process are two aspects in which we all strive and succeed under this team structure.